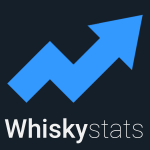 This topic contains 3 replies, has 3 voices, and was last updated by Whiskystats 1 year, 4 months ago. How much different collections can I create? yes, the number of personal Collections is currently limited to 7. I wonder how I should proceed if I whant to devide my Collection in 2-3 differnt ones without delete items – Foe me my collection starts to get heavy to work with .Kind of import or export items between diff collections. sorry at the moment there is no possability to transfer a bottle from one collection to another. I will add this to my to-do list though, since I think it is a very good idea! The behaviour of the “back arrow” seems to be different from Browser to Browser. With Firefox it shows the expected behaviour. With Microsoft Edge too. Which browser are you using?